** Once accepted, you should confirm your housing by paying the non-refundable confirmation fee of $300. This fee will be applied towards your housing charge. *** All the books and course materials will be available to you upon arrival in Shanghai. Once accepted, you should confirm your participation in the program by paying the non-refundable confirmation fee of $500. 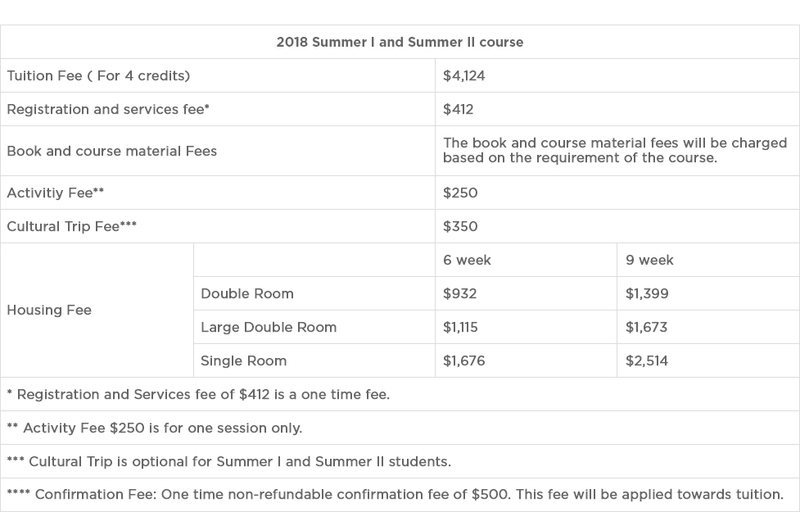 This fee will be applied towards your tuition. Students will be housed at the Tong Mao hotel located behind the NYU Shanghai Academic Building. All students will be in a shared double room with a private bathroom. The cost of your housing will include access to wifi, daily breakfast buffet, fitness center, swimming pool, and housekeeping services. All the books and course materials will be available to you upon arrival in Shanghai.